Theater District Dawn Moon - Handsome depiction of dawn in Shibaimachi, the theater district in Edo. 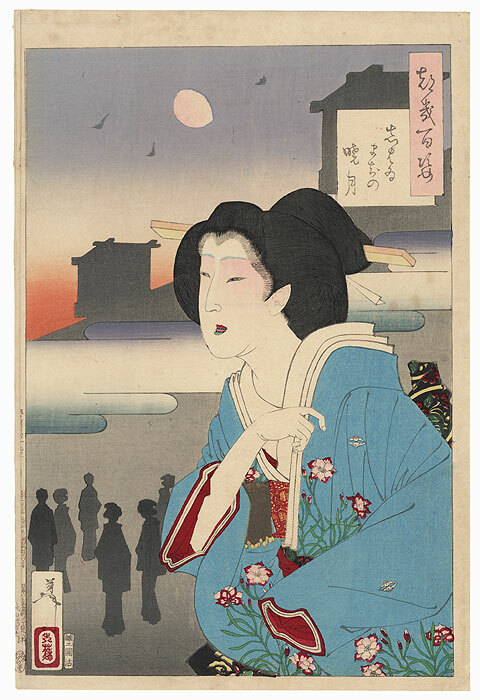 In the foreground, a young woman in a fine kimono hurries home, the moon still in the sky and the horizon beginning to glow with the warmth of the rising sun. 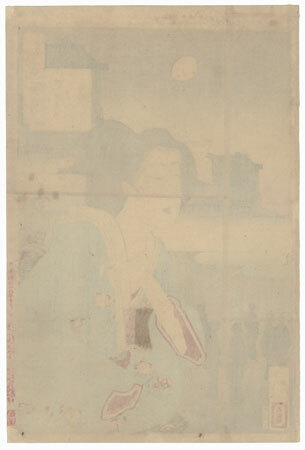 She wears a blue kimono patterned with delicate pink and white flowers over a red under robe, tied with a black brocade obi. Her hair is pulled back into a smooth knot with a simple ornament, and she wears fashionable red lipstick that takes on a green tone when applied more thickly, giving the appearance of two colors. Clouds drift across the early morning scene, with the silhouettes of people in the street behind her. 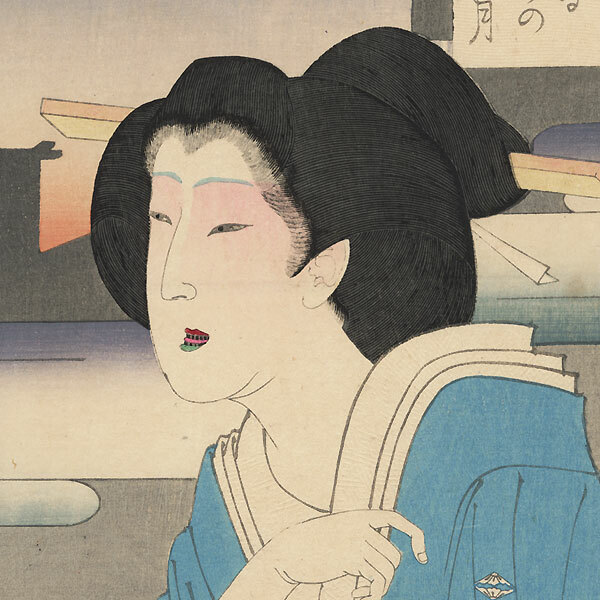 Nicely detailed with fine line work in the hair, embossing on the white kimono trim, and fine bokashi shading in the background. Condition - This print with excellent color and detail as shown. Nicely printed and clean with full margins. Backed with old album paper. A few spots, paper strip at left edge from previous album inclusion. Please see photos for details. Good overall.